License plates are a serious matter in Rhode Island, and this set of RI Wave License Plate Coasters might seriously be the most Rhode Island thing we've ever seen! 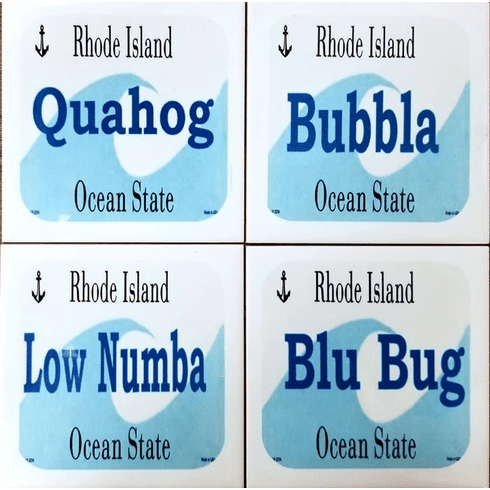 One each of; Quahog, Bubbla, Low Numba, and Blue Bug, these recycled glass and ceramic coasters are made in RI by Coasters Harbor Co. just for us! Each coaster measures 4.25" square and is felt-backed.